The sounds make up the melodies that create music. Everybody knows that some sounds can cause negative or beneficial effects on the emotional state of people depending on which brain's areas is activated to or which memories comes out in our mind. The positive and well-being state led to the discovery of music therapy, which is a mode that allow people to use music as a nonverbal form of communication for educational, rehabilitative and therapeutic purpose. It has been well demonstrated that music therapy has played many important roles in terms of healing and relaxation of people. The welfare induced by music is also manifests in animals although several studies about these benefits had on humans, but poor research existed about music’s effects on animals. American studies conducted on dairy cows have observed that milk production in animals who listen to symphonic music increases of the 7.5%, with a particular preference for Mozart, compare to the yield significantly dropped in the stables located close to airports. These responses confirm what bioacoustics is looking for and then while listening to some sounds involved part of the primitive brain mechanisms, more than others. The Journal of Feline Medicine and Surgery published an article (Mira et al. 2015) suggesting that using music in the surgical theatre may contribute to allowing a reduced anaesthetic dose in cats, minimising undesirable side effects and this promoting patient safety. Humans can hear up to 20,000 Hz, while dogs hear up to 45,000 Hz, and cats up to 70,000 Hz. 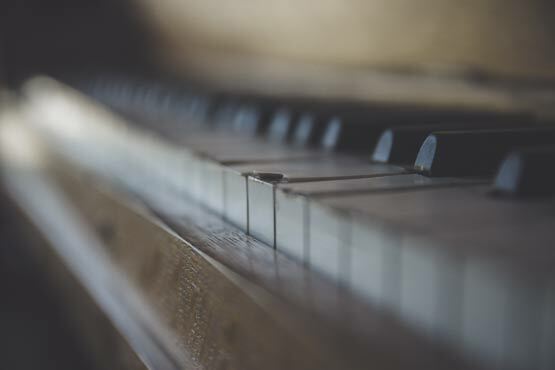 Maybe this is the reason why, according to the sound researcher Joshua Leeds, co-authored of book and CD set “Through A Dog’s Ear”, dogs prefer classical music played one octave lower and slower than what we are familiar with. Indeed has been demonstrated that animals respond well to soft sounds, particularly those of the harp. Now the question is: could classical or rock music be considered a “healing music” for animals? Some theory based on the frequency's capacity to induce well being or negative attitude exist, as the big debate between 432 Hz and 440 Hz frequency or the existence of the Earth's heartbeat of 8 Hz, better known as Schumann resonance, named after physicist Winfried Otto Schumann documented it mathematically in 1952. Human brain display five different types of electrical waves across the cortex. In order of highest frequency to lowest they are: gamma (40-100 Hz), beta (12-40 Hz), alpha (8-12 Hz), theta (4-8 Hz), and delta (0-4 Hz). Each of them has a purpose and helps serve us in optimal mental functioning but when the two hemispheres of our brain are synchronized with each other, the brain works more harmoniously and with a maximum flow of information. And the frequency of 8 Hz seems to be the key to the full and sovereign activation potential of human brain. The encephalographic spectral analysis in dogs reported the prevalence of delta and theta slow pace wave, while alpha and beta frequencies are poorly represented. To clarify some points let's jump in the physics of music for a while. Sound is produced when something vibrates, also the vibrating body causes the medium around it to vibrate. Vibrations in air are called traveling longitudinal waves, which we can hear. The wavelength and the speed of the wave determine the pitch, or frequency of the sound. 432 Hz resonates with the frequency of 8 Hz. In a scale where the A is at 440 Hz, the C is at 261 Hz; but if we take the 8 Hz and move five octaves up we reach a C at 256 Hz, which consequently makes the A at 432 Hz. Following the principles of harmonics by which any produced sound automatically resonates all the other multiples of that frequency, higher and lower, a C at 256 Hz propagates vibrations to all the C in other octaves, making the 8 Hz frequency naturally resonate. For what concerned better clarification about the “tuning debate” I remind you to the very helpful musician's Roelant Hollander Roel's World blog. Anyway according to some theories the 432 Hz frequency comes from a natural resonance with the base frequencies of both the universe and the organism, that is why music played at this frequency has a warmer tone and propagates in the body giving a sense of peace and energy. Indeed this tuning was supported by some classical musicians like Mozart and Verdi and it was recommended by physicists and scientists considering that the harmonic intonation of nature and physiological process of the human body, so something well perceived by ear and brain. But later, between the two world wars the 440 Hz was chosen as the reference frequency. Few researchers were financed to study the positive or negative influence of different frequencies on humans and they turned out that the 440 Hz frequency had more negative impact led people to be more aggressive and belligerent. Some talks about an advantage to train more aggressive soldiers, but who knows? To be honest we are not really interested in this debate now a day. What we really matter is that human and animal's body is 70-80% water so it's safe to assume all of us, both human and animals, are conditioned by what we “hear” at a certain frequency. Water is a better conductor of sounds than air because sound travels by the vibration of particles (particles in water are closer to each other that they are in air, so it's easier for the particles to pass on the vibrations to one another). To better understand the power of water have a look of the amazing picture of Dr. Masaru Emoto experiments on frozen water crystals photography. According to the above information, playing and listening to music that has been tuned to 432 Hz would make your body, and the organic world which surrounds it, resonate in a natural way. Opening the ears for music this frequency would benefit the entire planet and everyone who lives on it as it resonates inside our body, releases emotional blockages and expands consciousness. 432 Hz music allows you to tune into the knowledge of the nature around us in a more intuitive way. This frequency is interconnected to the physiological processes of DNA, the brain and heart, the cosmic vibration and light. Dr. Andrija Puharich has been a pioneer of electro-biology research, proving that music based on multiple frequencies of 8 Hz promote harmonization between man, animal and nature. According to Ananda Bosnam, a cosmologist and musician, famous for his research on the pineal gland (a tiny endocrine gland in both man and animal's brain producing melatonin), the pineal body is activated at this frequency promoting an antioxidant function, regulating sleep patterns and modulating the immune system. As it pretty much easy to find a wide range of music tuned on good frequency, from classical to rock music, why don't listen to some good vibes together with your dog or cat? Maybe listening a 432 Hz music player. So, enjoy it, enjoy the effects both on you and your pet and let me know! HAPPY NEW FIRE ROOSTER YEAR! Natural Holistic Vet provide primary and specialized care for companion animals and their people. We are here to help with our exclusive and unique services such as Acupuncture, Electroacupuncture, Acupressure, Tui-na, Food Therapy, Chakra Balancing, Herbal Therapy, Geriatric Care and Horse Care. Dr. Laura Romanò. Available to see patients by home visit or at clinic. Copyright © 2017 Natural Holistic Vet. All rights reserved.